You asked for it so we took out a clean sheet of paper and we designed it. This kit isn’t flash and dash, a fancy presentation won’t get you further down the trail. It entails all the virtues of its smaller siblings, but comes with a whole lot more. This is a bolt on installation, no cutting or welding. This is an extremely strong well built kit. High quality control as we did not send these out to the lowest bidder to be built in mass. Constructed of .140 wall tubing, 1/4” and 3/8” bracketry through out. In actual fact we have limited this system as it can go much further…unfortunately going further means broken parts and unreliability. All these can be dealt with, but we wanted to keep as many factory oem parts as possible. Things such as drive shafts, cv’s and t-case reliability are important. Custom driveshafts, cv’s, and slip yoke eliminators could have been put in this kit, but let’s face it they are expensive and you can’t find them at your local wrecking yard or parts store. First are our Zuki Ride custom coil springs, they are the heart of the system. Softer than any other on the market today. This was done for tons of flex and compliance in off-road situations. Plus you don’t feel beat up after a full days wheelin’. 4.5” of lift alone will not easily clear 31 - 32” tires all by itself, it needs a little help. Our customers asked for a low centre of gravity so that meant no body lift. They didn’t want to trim the body of their truck…that meant only one thing, altering the wheel base! Sidekick/Trackers have a notoriously small wheel arch especially at the back where it becomes very tight causing almost all tire fitment problems. We provide custom high clearance a-arms that have the same ground clearance as stock units, but relocate the wheel mounting surface 1.5” forward, thus giving more than enough room for the larger tires with only 4.5” of lift. Next we had to make it reliable while still retaining as many stock parts as possible for ease of repair. 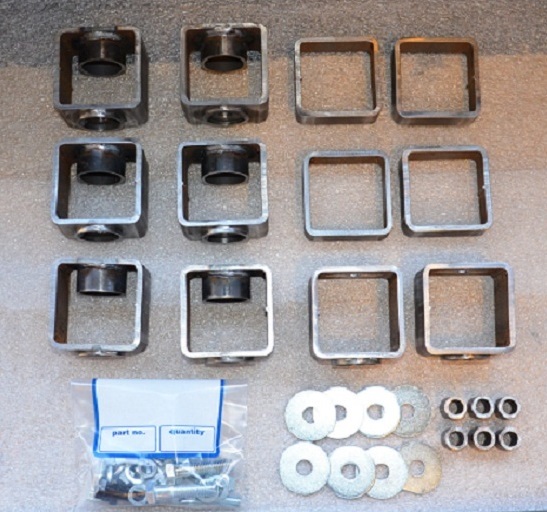 Reliability entailed things such as strut spacers, front diff drop brackets, floating polyurethane spring seats, fully machined lower knuckle relocation spacers, strut/lower knuckle retaining brackets, all new polyurethane bushings and sleeves, and that’s only the front! Now to the back….again Zuki Ride coils are the heart of the system, super soft and compliant, yet positive feeling. Long travel soft ride shocks, custom upper third link made from ¼” steel, laser cut for accuracy featuring all new polyurethane bushings and sleeves, and wait for it……yes….a 2 5/8” forged one piece super flex joint , allowing 30 deg of internal rotational movement and zero drop out bind. We combined this link with our new pedestal style fully neutral upper diff mount. Next is the lower links, built from .140 wall tubing for extreme strength. They feature polyurethane bushings and sleeves for the frame mount side thus not transmitting harsh road conditions through out the vehicle improving ride quality. And on the other end of the link……wait for it……yep, more 2 5/8” forged super flex joints providing that unbelievable 30 deg of internal rotational movement. 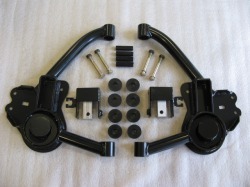 Did we mention the rear links were also adjustable??? You can adjust up to an inch more wheel base in the rear also, making for 2.5” of total wheel base alteration. This wheel base alteration makes for an extremely stable vehicle. Now you know why we had to limit this suspension and why it can go further if you choose. With all these fantastic suspension components all working together to almost completely eliminate bind, it just keeps flexing. If we had not limited the suspension travel the super flex joints would allow it to articulate so much it will actually tear the t-case right out with a heavy throttle stab. This kit was built to go to the limit but stay reliable so you always get home. *Caution* Going further and modifying this kit for your needs comes with a severe warning that catastrophic drive line failure WILL OCCUR if custom components are not utilized. Designed with you in mind, over five years of research and development, prototype after prototype, extensive testing sessions lasting 30 - 40 days at a time, in extreme temperatures as low as -30 deg C, that’s what it takes to design an extreme kit. We use high strength laser cut pieces that have made us extremely confident in this product. It rides and drives extremely well, has excellent wheel travel and high performance suspension components unmatched by any other Sidekick/Tracker lift on the market today. Add to that an altered wheel base for low centre of gravity and fitment of larger tires and you have a "super hero" lift kit. 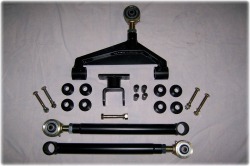 ​This suspension does not include struts, they can be added for an additional cost of $135.00/ea. This is where you start to get serious! 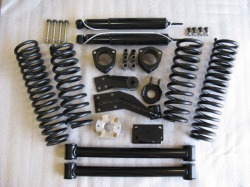 Still considered an entry level kit because of it's economic pricing and value for the dollar, but make no mistake this is a serious suspension system. It provides a full 3" of suspension lift. It rides softer than stock utilizing our exclusive "Zuki Ride" line of coil springs. A soft and compliant ride which our customers rave about. More positive feeling than stock, yet softer. What you get is a budget oriented kit which delivers huge on or off-road. More flex, better travel and a supreme ride at a great price. As an added bonus we reuse all stock a-arms and links for maximum ground clearance. 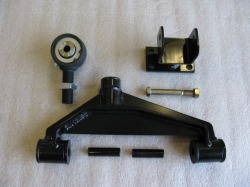 We use heavy duty strut spacers to relocate the struts back to their proper operating range. With only 3” of lift differential drop brackets are not needed, but are an option if you want to maximize your front wheel travel. We utilize a rear third link diff spacer to relocate the rear link to its neutral position and restore drive line angle eliminating bind. Our long travel shocks are valved perfectly for the vehicles weight and ride quality that was desired in all our lift kits. Fits 235/75R15 or 30x9.5x15 with minor trimming or proper wheel spacing. This is a complete bolt in kit, requires no cutting or welding and comes with everything needed to lift your Sidekick/Tracker a full 3". All our kits are fully upgradable...you can turn your 3" Suspension Lift into a 3" Deluxe or 4.5" Lift with the additional parts required! 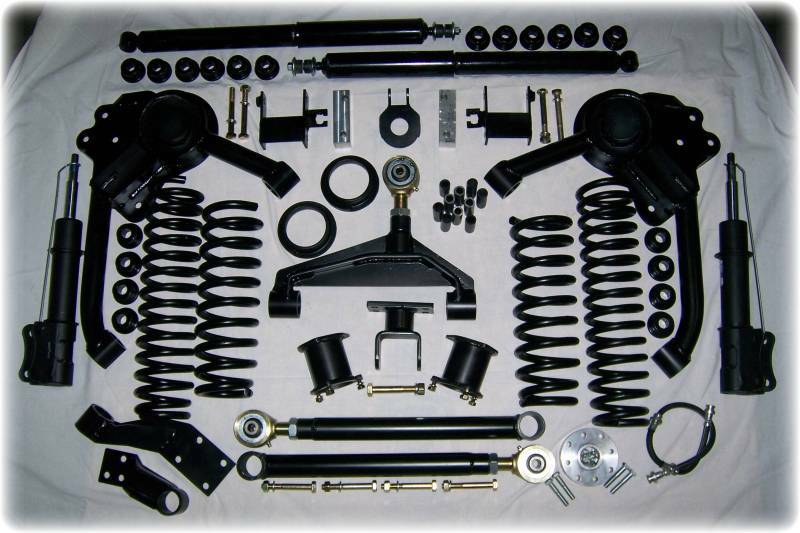 ​​This suspension does not include struts, they can be added for an additional cost of $135.00/ea. This is a base level economically minded suspension lift. Provides a full 2" of lift by using a high strength, non-fatiguing steel coil spacer. The steel spacer makes for a "squeak free" and quiet coil spacer, Kit comes complete with four coil spacers, two strut spacers, one rear upper diff link spacer, and full length long travel soft ride shocks, plus all the hardware needed to install. 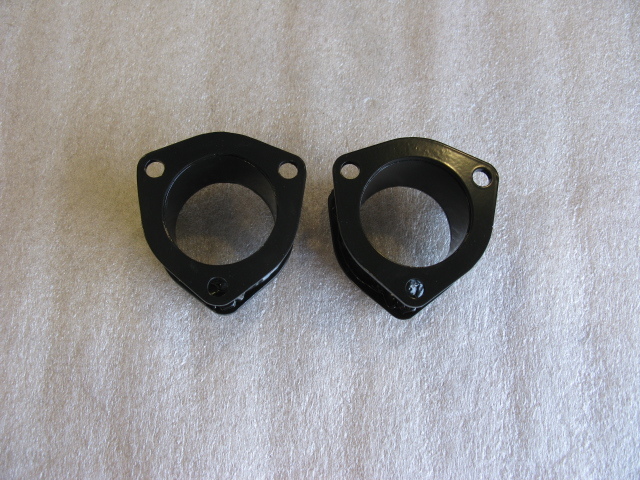 When you add a heavy bumper with a winch on a lifted Tracker/Sidekick or just your front lift springs are starting to sag over time, these poly coil shims will help lift your truck back to original lift height. Sizes from 3/8" - 5/8". These are not lift spacers, only shims for regaining lift height. There are two schools of thought for what is the best way to properly deal with the front struts after a vehicle has been lifted. Some use longer struts, which is the perfect solution if you can find them to match your lift height. Unfortunately what we have seen happen time and time again is that in the pursuit of 'bigger is better' a longer strut only stays longer if its lift height is matched perfectly. Once you add more lift than the strut was designed for, you have just put yourself back to square one and effectively removed the extra travel that was once there. You basically end up with no more travel than a stock strut would allow anyway. Another way is to use a heavy duty strut spacer, effectively locating the strut back to where it’s proper travel is needed. This is the method we use. No one makes a strut that matches our lift heights, and custom ones would make this kit outrageously expensive. The front travel is completely limited and dictated by the front cv axles. There is only so much travel to work with.…by spacing the strut down you add wheel travel downward but more importantly when paired with diff drop brackets you add significant up travel..far more than the factory set up, thus increasing wheel travel. In our experience this is the best, most reliable and simplest method of regaining front travel. As an added bonus you can use OEM (stock) struts, which are valved perfectly for the vehicle and save the expense of having to repurchase expensive high end custom length struts when they need replacement. When ever you lift a Tracker/Sidekick 2" or more you need some way of adjusting camber to retain proper alignment. Stock struts have no camber adjustment, so when the truck is lifted 2" or more there is too much camber to align the truck correctly. Camber bolts are available for applications of 2" or under, but we prefer to use a completely prepped strut. These struts will allow camber adjustment from 1" all the way to 4" of lift. We can prep your existing struts for a $25.00 charge per strut. Due to the overwhelming demand to offer these as a seperate option, our Alter Ego Front A-arms are now available! Same arms included with the 4.5" Alter Ego Suspension Lift. Moves the front wheel base forward 1.5" from stock, allowing the fitment of larger tires with less lift and negating the need to trim the body. Includes all necessary brackets and hardware needed in association with successfully altering the wheel base 1.5" forward. *Please note the knuckle retention brackets are no longer required with the A-Arms. 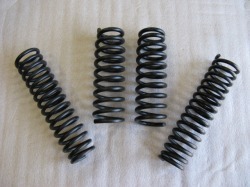 Included in our kits are our exclusive "Zuki Ride" coil springs. 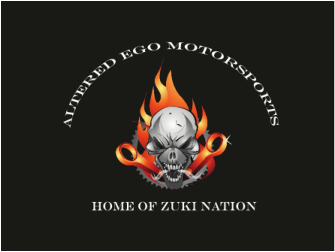 They are Zuki Nation exclusives, made for us specifically with exceptional ride quality in mind first and foremost. We wanted them to perform just as well on the street as they do off-road. Soft, compliant, yet extremely positive feeling. After a truck is lifted the comments we hear most from our customers is that their trucks actually ride softer and handle better than their stock truck did. They make wash board roads disappear and off-roading a pleasure. They can't get over the ride quality. 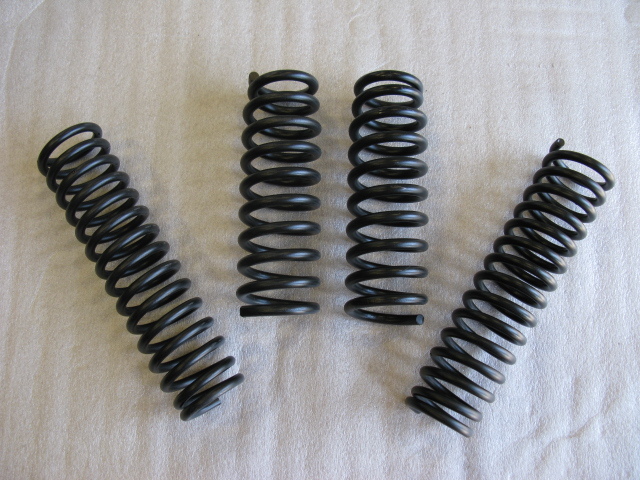 These are not a cheap produced knock off spring, they are custom designed and in our opinion, the best riding springs on the market today. 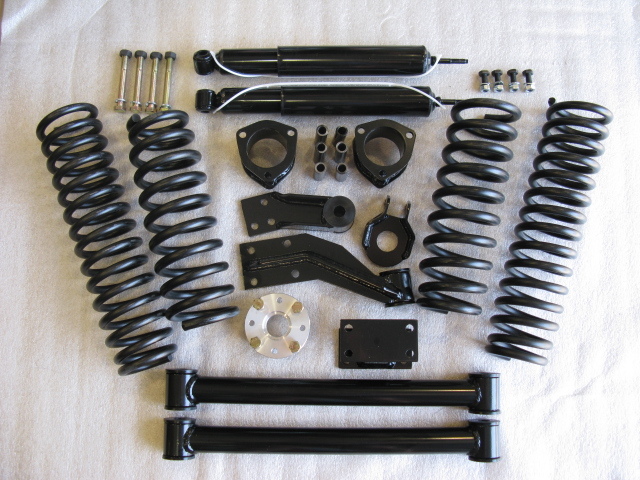 All of our Zuki Nation lift kits come complete with full front and rear coil springs. When lifting your Sidekick/Tracker if you don't space your strut downward accordingly with lift height, you effectively lose wheel travel. Every inch you go up without dropping the strut the proper amount comes directly out of the strut shafts travel. 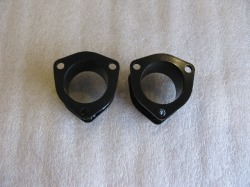 Use these heavy duty strut spacers to correct lost travel. Not only do these spacers restore wheel travel but they also come with a built in camber adjustment to aid in wheel alignment. Available in 2", 3" 4", 4.5" lift sizes. Lifting a front IFS (independent front suspension) suspended truck, you run into problems with your front cv drive angles. The higher you lift your truck the steeper the angles become. If the angles on your cv’s are too steep you will run into premature joint failure, boot failure, and excessive bind potentially causing catastrophic cv failure when dropping out the front suspension. In our experience, 3” is the most lift you can have without drop brackets and safely run your cv drive angles with reliability and long life when combined with the proper length strut spacer. Too much drop out on a lifted IFS truck is your enemy while articulating. Being that maximum wheel travel in the front is completely dictated by the cv, the more you lift your truck the less downward travel or drop out you have before you encounter cv bind. Even in a limited set-up such as this wheel, drop out can still be maximized. Our front drop brackets drop the front diff 2” and when combined with the proper lift springs and strut spacers, this allows full usage of the cv’s length and drop out. We literally limited the drop out to full extension before bind. We hear lots of concerns of vulnerability of the front diff once the diff has been dropped. In relationship to your new-found height, the diff is actually in a safer position. To us, the trade-off is a no-brainer because if you don’t drop the diff and you go into cv lock or bind you can destroy the diff and cv’s completely. To date, we have not had a single front diff failure due to its new position. If need be, complete peace of mind comes at the cost of a front skid plate. An excellent option to be added to the base 3” lift. When maximizing rear axle travel you must minimize bind. BIND IS BAD!! Basically bind limits how much your rear suspension can move before opposing forces limit its movement. The upper third link on the Tracker/Sidekick tends to be a major issue when dealing with bind. Almost any amount of lift will cause this link to start binding. We have developed a upper rear link spacer which relocates the rear link to its neutral riding position and also corrects drive shaft angle. This is a must, if your kit does not have one you are not maximizing your lift kits potential for rear axle articulation. 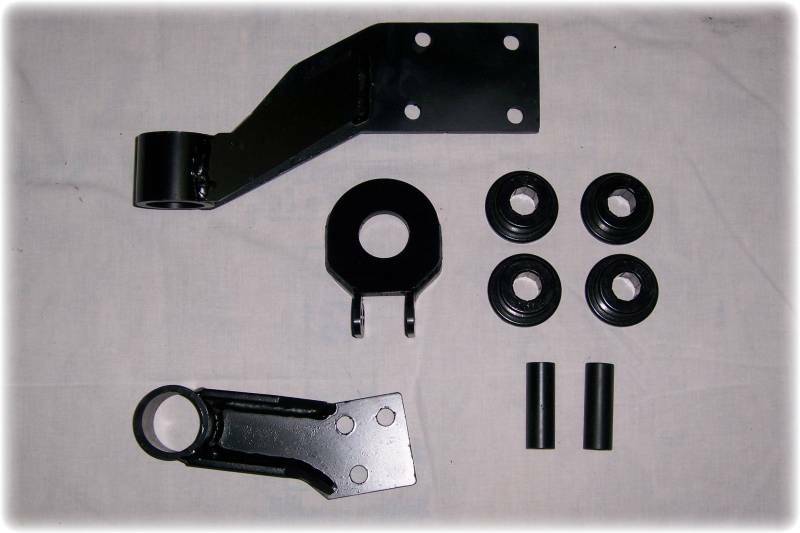 You are also running the risk of premature parts failure such as drive shaft u-joints, pinion seal and bearing, t-case output bearing, etc… We have rear third link diff spacers included in all our lift kits. Want to add amazing flex to the back of your Sidekick/Tracker????? Due to overwhelming requests we are now offering our Super Flex Rear Link Sets, that come standard in our "Alter Ego 4.5" Extreme Lift" as a package on their own. Not only will they work in our 3" and 4" suspension lifts, but they will bolt directly into and upgrade any other Sidekick/Tracker on the road, no matter what suspension system you currently utilize. Made extremely tough, they are fully adjustable for pinion angle and adjust from stock length to 1" longer for more wheel base. They incorporate 2 5/8" forged, one piece super flex joints that have 30 degrees of internal rotational movement. They feature polyurethane bushings and sleeves for the frame mount side thus not transmitting harsh road conditions through out the vehicle improving ride quality. The use of these links solves an inherent Sidekick/Tracker rear suspension bind up problem. Bolt these in and see how a Sidekick/Tracker rear suspension can really work! 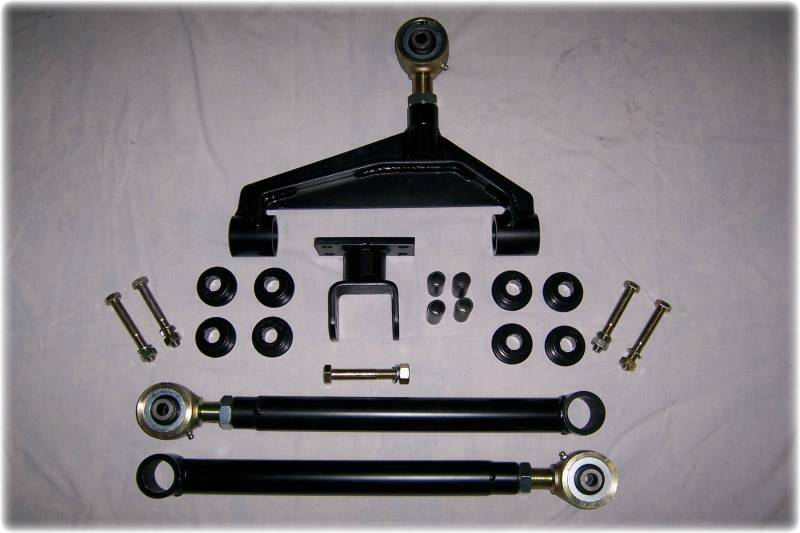 Completely bolt in and comes with all links, super flex joints, rear diff upper pedestal mount, polyurethane, sleeves, and hardware. 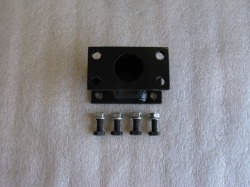 For those who want to replace the upper link only, we sell the Superflex Upper Link & Pedestal Mount Assembly. Whether it be due to stock failure/breakage or you just want to upgrade to extremely tough parts with the Superflex articulation, these pieces have you covered. 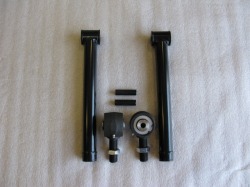 Same parts that are included in the Superflex Rear Link Setup. Fully adjustable and will work with any lift from stock to 4.5". For those who want the Superflex Lower Links only. Whether you just want to replace your stock arms with stronger more articulating pieces or you want to add an inch of wheel base to the rear suspension, these links will do the job. Same pieces that are included in our Superflex Rear Link Setup. When lifting any vehicle that has a link style suspension, such as the Sidekick/Tracker, the more you lift the vehicle from its stock position the more the rear axle moves forward out of its stock position. This forward movement shortens your wheel base and also pulls your suspension out of its proper neutral position causing premature bind during flex. To solve this issue we built custom rear lower suspension links to relocate the axle back to its proper position. Our links are built extremely tough and include polyurethane bushings and sleeves or super flex joints. These rear lower suspension links come standard in the 4” and 4.5” lift kits. 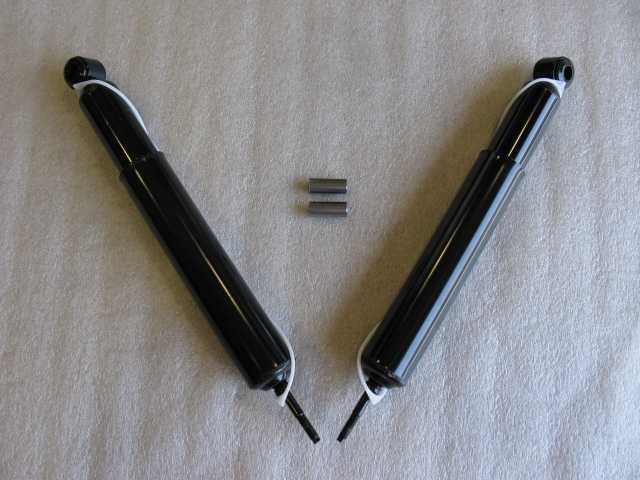 Sidekicks/Trackers/Sunrunners all share the same common problem when it comes to rear shocks. The shock mount is extremely close to the rear axle tube making the use of aftermarket large body shocks nearly impossible. 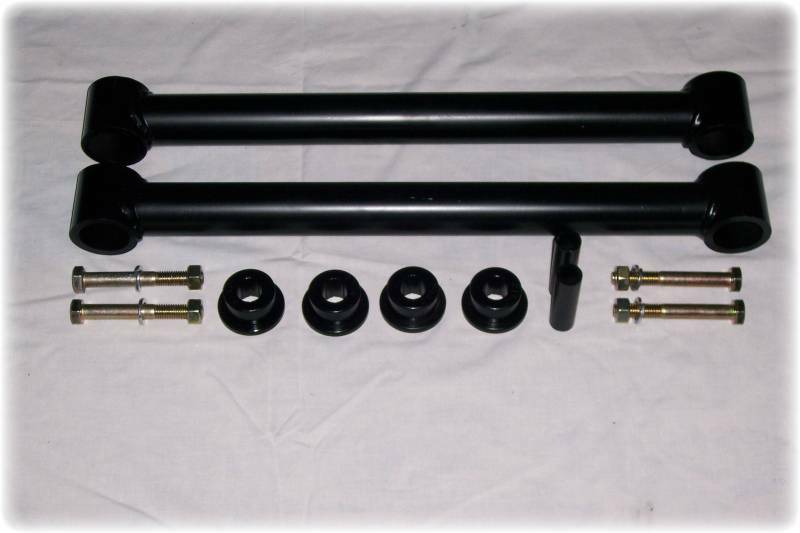 As the rear axle articulates it pulls the shock closer to the axle tube. When using a large body aftermarket shock , the shock, the brake line or both will be damaged by compression as the axle articulates. The bodies are simply too big for the stock mount, also we have still not found a single large body shock ( and trust me we have tried a lot) that had valving and ride quality anywhere near the level we were shooting for with our kits. They were all simply too stiff and they rode like a gravel truck. 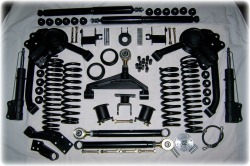 Our lift kits maximize wheel travel while still maintaining reliability. If during drop out your large body shock is not touching the axle tube, then your lift kit has been severely limited to avoid this problem. We recognized the problem, solved it, so we could give you the maximum amount of travel available for each of our lift kits. 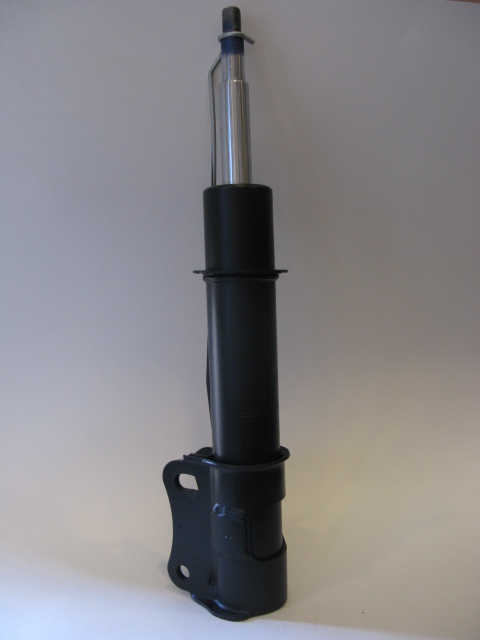 We use a simple gas charged, long travel, lightly valved oem style shock. Through out our testing we have found them to be the most reliable, least prone to failure, best riding and they are a small body shock that fit’s the stock mount…thus negating any fabrication or welding making this a simple bolt in installation. 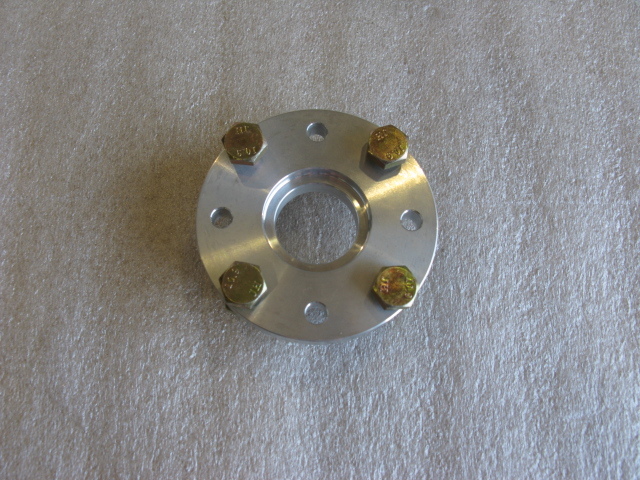 We have a 1/2" and a 1” drive shaft spacer. The reason for these is quite simple, when you lift a truck you effectively shorten the drive shaft. Either through the slip yoke on the t-case output shaft, as the case with the Sidekick/Tracker, or on a built-in slip yoke on a standard style drive shaft. This spacer relocates the drive shaft back to its standard seating position on its slip yoke splines. If your drive shaft is too short or too far out on the splines it can cause vibration, premature yoke ware, or even worse catastrophic failure of the drive shaft and/or t-case during articulation. Body Lifts - 1" & 2"
​At Zuki Nation we believe that lifting a vehicle should be in the suspension, but over a decade building trucks, we understand that budgets and also that design criteria may dictate the use of a body lift. The body lifts we use are the easiest to install on the market. 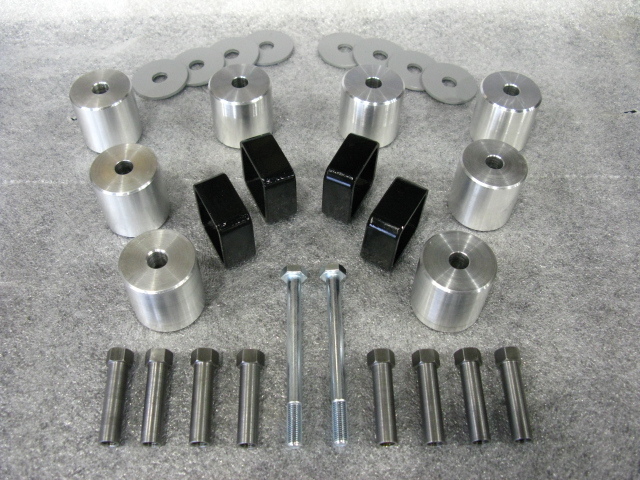 They consist of aluminum lift blocks and custom machined extreme length hex nuts. Its design is used by many companies proving its reliability and ease of install. We suggest no more than a 2” body lift because of installation issues that occur with a 3”. Things such as proper shifter movement, boot fitment, shifter length, etc…though these issues still need to be addressed with a 2", it is a much simpler problem to solve. With a 3" these issues are exaggerated to the point where simple fixes will not do and in fact custom assemblies, new parts, major cutting and extra hours of installation are required. 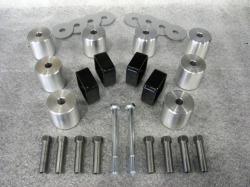 For those where nothing but a 3" body lift will do, a specially designed, one piece, indexed and spaced block system. 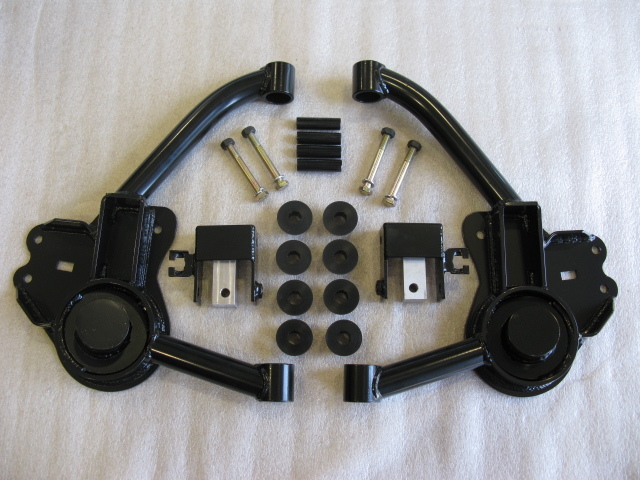 Provides a full 3" of body lift and because of its integrated design is easy to install. Covers all twelve mount locations. Comes complete with all hardware needed. Minor welding on shifter extensions and modifications to steering shaft still required.